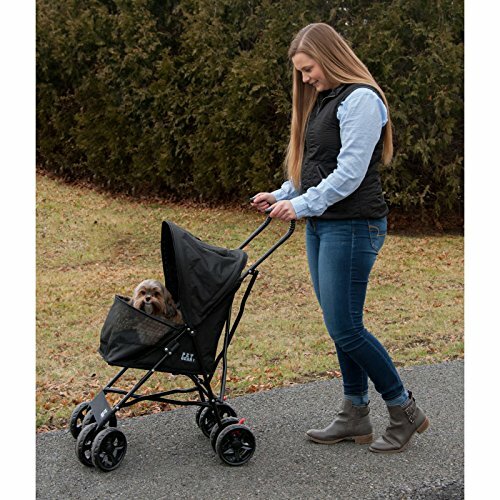 At this time you are viewing Pet Gear Ultra Lite Travel Stroller, Compact, Large Wheels, Lightweight, 38" Tall which is one of our several available strollers from the manufacturer Spig9. Buy this wonderful stroller now or look through our website for other similar options. 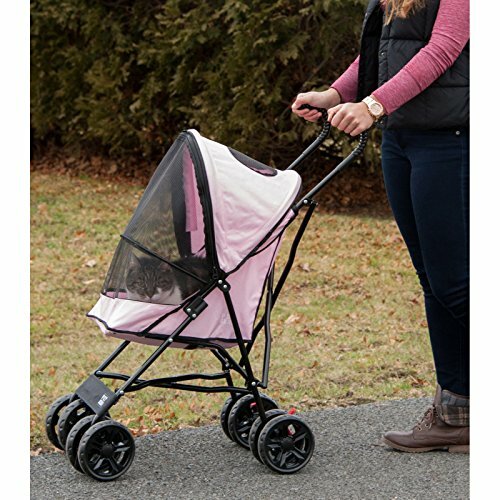 Take your small pup with you in style tucked inside this Pet Gear Travel Lite Pet Stroller. 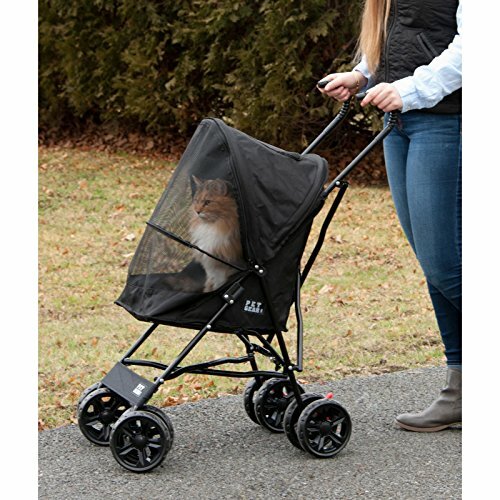 This durable nylon pet stroller is available in a choice of colors. Your little dog has plenty of seating room inside and there's a tether to keep them secure. A top window, generous viewing area, plus mesh ventilation means your dog will always have a good view and stay cool and comfortable. This pet stroller weighs only nine pounds and features a quick-fold mechanism to be easily portable. 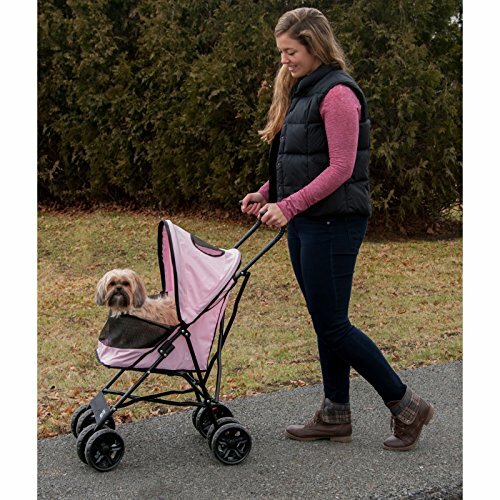 It's designed for small dogs from 1 to 25 pounds. You'll be happy with the removable, easy-clean waterproof tray, comfortable handle height of 38 inches, and large, smooth rolling wheels. A division of Vermont Juvenile Furniture, Pet Gear Inc. helps you to care for some of your very best friends. 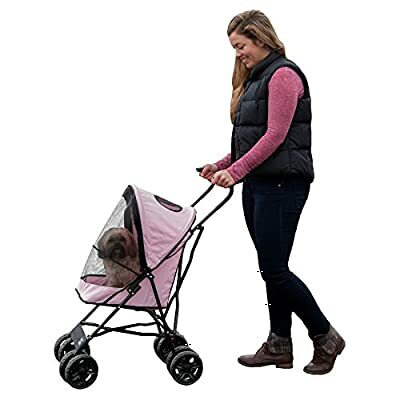 Committed to the comfort and safety of your pets, Pet Gear's offers a wide line of pet products, including pet furniture, strollers, steps, carriers, and much, much more. 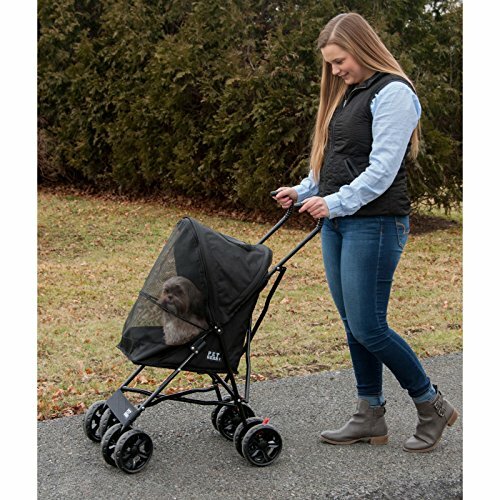 Improve the quality of life for you and your four-legged friends with the help of Pet Gear. Dimensions: 15.5L x 11W x 23H in.. Durable nylon construction. Choice of available colors. Removable, easy-clean waterproof tray. Top window and viewing area. Quick-fold mechanism. For small dogs 1 to 25 lbs..